TULARE, California -- Three people are now charged with murder after a 2-year-old boy who police say was tortured in California died. Police in Tulare received a call Saturday for an unresponsive child with injuries consistent with abuse at Tulare Regional Medical Center. The child was brought in by a private vehicle, was not breathing and did not have a heartbeat upon initial evaluation. The boy's injuries were determined to be consistent with abuse, and investigators were called. Authorities arrested 36-year-old Edward Dias, 23-year-old Shania Alamillo and 27-year-old Adriana Alamillo. 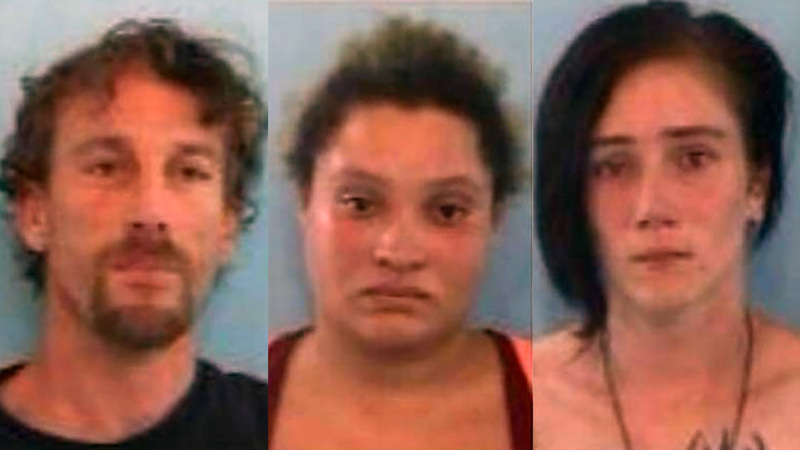 All three are charged with attempted homicide, torture and cruel or inhuman corporal punishment of a child. The child was stabilized and transported to Valley Children's Hospital, where he was listed in grave condition until he sadly passed away. Another child was found to be in the custody of the suspects who also exhibited injuries consistent with abuse. The 3-year-old was taken into protective custody by Child Welfare Services. Police are asking anyone with information regarding this incident to call the Tulare Police Department.